Say what you will about the humble percolator, but one thing’s for sure: this little guy has stood the test of time! The first of its kind stepped into the scene in about 1810; that’s right, it’s been around for a staggering 200 years! 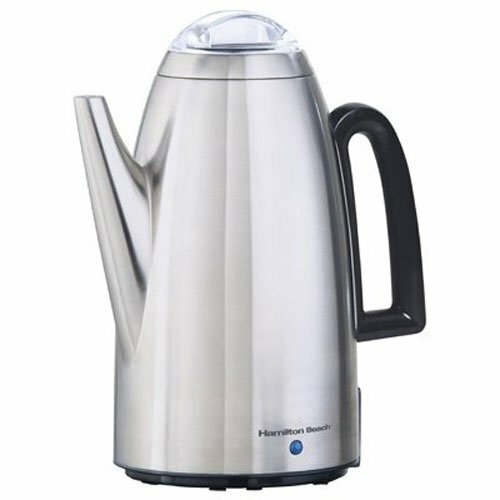 And Hamilton Beach has tried to usher this time-tested machine into the 21st century with their 40614 twist lid percolator. This 12-cup, $40 coffee maker takes that ol'-timey technology that whips up those robust cups of joe you always fantasize about, and refines it with a couple of modern touches. But does it over-extract the beans like some of its counterparts? Does it pack enough modern conveniences for you to tell your old drip coffee maker to hit the road? Does it rival your grandmother’s cherished coffee pot that seemed to brew little cups of heaven? Well, let’s jump into this Hamilton Beach 40614 review and find out! This percolator is quite the looker! It sports a brushed stainless steel exterior with a black handle that remains cool to the touch. Just as you’d expect from this type of machine, there are no sets of buttons or fancy LCD screens. There is just a marked water viewing window under the handle, and a little light at the base, which alerts you whenever your coffee's ready. But there is one feature though that sets it apart from its peers: the power cord is actually detachable! Oh, thank you Hamilton Beach. 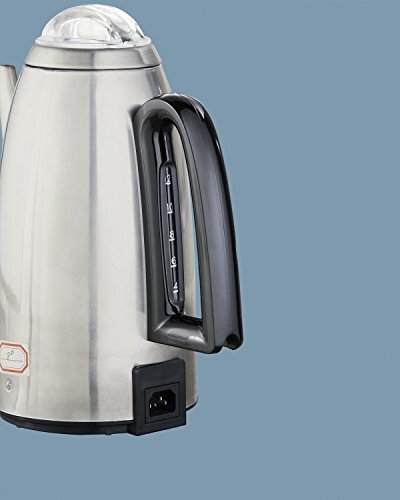 You can now take the percolator to the living room or dining area without the cord threatening to trip or strangle you with every step. Wondering if it will fit under your cabinets? Well, at a height of about 13.37 inches, this shouldn’t be a problem. It also has a width of 6.9 inches, and a depth of 10.25 inches, which places it in the same ballpark as other modern perk machines. At the top of the coffee maker is a transparent glass lid, which gives the percolator its signature look. Open this up and you’ll find a permanent stainless steel filter basket. It actually comes with markings to guide you on just how much coffee to put for a particular number of cups. How thoughtful! 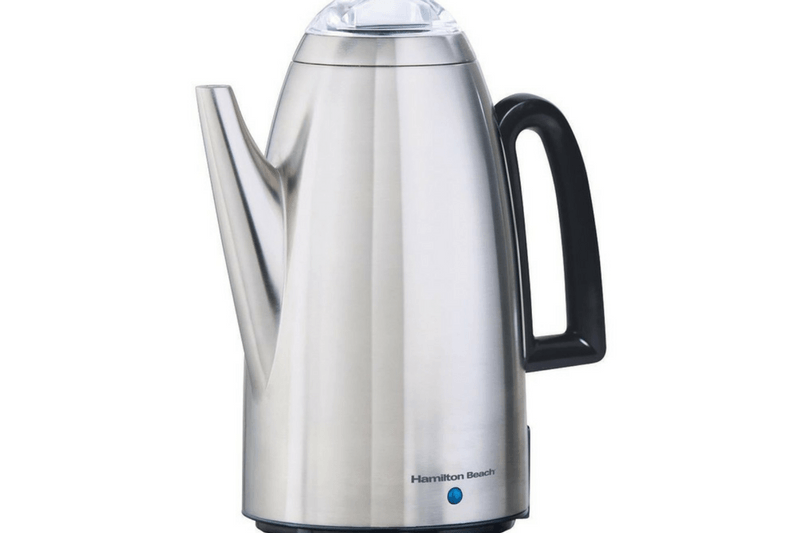 The Hamilton Beach 40614 percolator is very straightforward in its operation. After you’ve filled it with water and coffee, all you need to do is plug it in, and voila! It starts doing its thing. The clear lid allows you to catch a glimpse of the perking action, which, for some reason, never gets old. What really distinguishes it from the percolators of old is its keep-warm feature. Once perking is complete, the machine automatically switches on the warmer, keeping your coffee perfectly hot for you to enjoy. It doesn’t come with an auto shut-off feature however, so remember to unplug it lest you give the power company a reason to celebrate. If you enjoy some hot cocoa in the evening or tea whenever you’re feeling a bit fancy, you can use the percolator to quickly heat up water. It can make 4-12 cups of hot water, with the marked viewing window really coming in handy to get you measurements just right. The one major advantage of these kinds of machines is just how fast they are. And this particular one does not disappoint. It can brew a full 12-cup pot in around 12 minutes. That’s a rate of a cup a minute! Considering how time-strapped most of us are in the mornings, this speed is definitely welcome. The keep-warm functionality does a great job of maintaining that ideal coffee temperature without actually scorching the brew. If you’ve ever owned a drip machine with a glass carafe, you know just how notorious their warmers are for burning coffee. So it’s a relief that Hamilton Beach has managed to pull this off. Another feature that deserves some praise is the no-drip spout. Trying to pour out a cup of java only to end up with most of it on the counter is never a fun way to start the day. That won’t be a problem here, with the spout carefully contoured to make for a nice, steady stream. But while the perking action is always a sight to behold, especially with the glass lid on this model, it’s a bit too pronounced with this percolator. It has the tendency to shake more than normal accompanied by quite a bit of noise. Not really a deal breaker, but it does take some getting used to. With a perk machine, you’ll inevitably get coffee grinds in your cup; it’s just one of those things you have to get used to. Using coarsely ground coffee however, greatly reduces the amount of grinds in your cup. But if you’re all about a perfectly clear cup of joe, then a percolator might not be for you. One of the joys of owning a percolator is just how easy they are to clean. No descaling procedures. 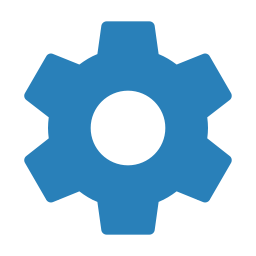 No little parts to disassemble and rack your brain trying to put back again. The stainless steel exterior of this coffee maker just needs a quick wipe to get it all shiny, and the filter basket is dishwasher safe for an effortless clean. Well, what type of coffee drinker are you? Do you prefer a piping hot cup of java that is strong enough to wake you out of a coma? Then you’ll love what this baby brews! And while the coffee is robust, it doesn’t have the bitterness you get from other percolators, especially stove-tops. The thermostat fitted inside cuts the heat before the water gets to boiling point, preventing it from extracting the oils that contribute to bitterness. Just don’t let the brew sit inside there for too long, because even with the impressive warmer, the taste will inevitably begin to change. Detachable cord allows for easy serving and storage. Measurement markings on filter basket. Perking action is a bit vigorous. The Hamilton Beach 40614 Twist Lid Percolator is available on Amazon for $35.99. 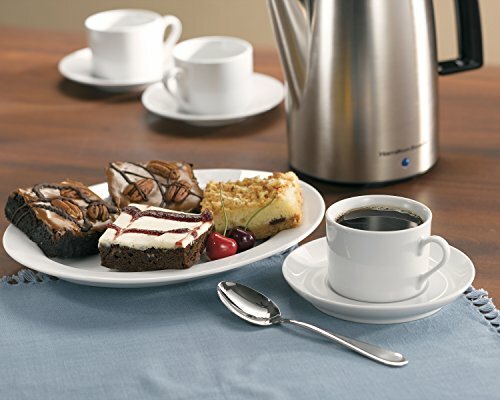 Sometimes all you require is a simple coffee maker that’s good at what it does; and the Hamilton Beach 40614 Twist Lid percolator embodies this perfectly. It works great, looks sleek on any counter-top, and at a price of around $40, is quite the steal. It isn’t for everyone though. If you’re concerned about over-extraction, then this machine isn’t for you. Opt for a drip machine with temperature control or go for a French Press that gives you a say on water temperature. But if all you want is a quick, hot, and robust cuppa joe, then this little guy will give you just what you need.